Even in times of recession, recruitment is a competitive business. Candidates are vying for the best jobs and employers are competing for the best people for those positions. Taking on a new team member is a major step for a start-up, and whatever the role is, you’ll want the best person. To achieve this you’ll have to pay the going rate, or close to it; but what is the going rate, and is pay the only factor that will swing the deal? Before looking into these points, it’s worth evaluating the job you plan to offer in terms of the responsibilities of the role, as well as the know-how you want the candidate to possess. This will help you gauge the varying levels of payment to employees. 02 | What influences pay variations? You can skip to the sections you’re most interested in, or read the whole article for a complete overview. Alternatively, if you’re ready to compare quotes for payroll suppliers now, just fill in the form at the top of the page. Ability – is it a specialist job or a basic admin role? Skill set – will the new recruit be juggling a range of activities and resources, requiring planning and organisational skills? Expertise – will the problems they face day-to-day be simple and repetitive or complex and ever-changing? Influence – how much responsibility will they have to make decisions? Big companies use evaluation schemes like the Hay method to ‘score’ jobs so that comparable jobs can be grouped in pay bands across the organisation. First created in the 1950s, this method of scoring a job to calculate pay has since been honed to suit a variety of roles. How does it work? While it may not be necessary to take such a formal approach for your first recruit, thinking about these points will help you to assess the value of the job and the pay that would be appropriate for that role. 2. What influences pay variations? 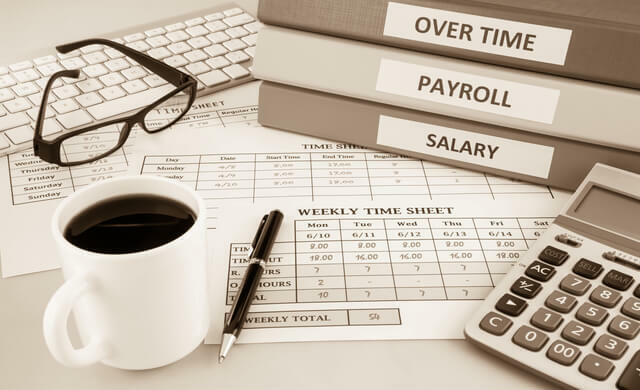 At the time of writing, the Office for National Statistics (ONS) puts the UK median gross (before tax) weekly wage at £550 for full-time employees. It all depends on your start-up location when it comes to pay. If your business is based in London you can expect to pay more. According to the ONS, those working full-time in the capital receive a median weekly wage of £692. In comparison, if your start-up is in Northern Ireland, for example, the ONS data shows the similar weekly wage is £501. If you’re looking for skilled professionals, you’ll have to pay more too. Experience is perhaps a little more difficult to quantify, which is why employers often set a salary range for the job so that they can take this and other factors into account when they get to the point of making a job offer. For information about average earnings in your region, check out the Annual Survey of Hours and Earnings published by ONS. The National Minimum Wage and National Living Wage are useful benchmarks to help you set basic pay. This is set at different levels depending on age. These rates are reviewed annually by the Low Pay Commission, so you need to keep an eye out for any changes. While these are minimum rates that almost all workers are entitled to be paid, there’s nothing stopping you paying above the minimum wage. The National Minimum Wage and National Living Wage rates change every April. Skilled workers, professionals and those with relevant experience command higher rewards. Many professional bodies publish regular pay surveys providing a benchmark on which to base salary scales. The main findings are usually freely available online. For example, the Association for Project Management(APM) is the chartered body for the project profession. It publishes research annually (Salary and Market Trends Survey) about pay in the sector. Information about managers’ pay is provided by the National Management Salary Survey, and published annually by the Chartered Management Institute(CMI) and XpertHR. Job sites are another good source of information on salaries. If you decide to place your ad with a recruitment agency, they’ll be able to provide you with advice about the going rate for the job you wish to advertise. As with any expense in life, you’re likely to be constrained by what your budding business can actually afford. You also want the maximum bang for your buck. To determine what you can afford, you need to consider carefully the value to your business of the gap this person will fill, and what impact they’ll have on the bottom line. Taking on a general admin person may be less expensive than employing someone with the skills to help your business grow, but it could be a false economy in the long run. The salary you’re able to offer is very important, but it’s not the only criterion on which individuals base job choice decisions. So it’s important to consider the other incentives you may have to offer in your remuneration package (not just pay) to appeal to the type of candidate you really want to attract. You should think about different payment methods for employees. These and other ideas could be included in a range of benefit options you make available to your new employee. For more inspiration, read our page on employee perks. Make sure, though, that any benefits you do offer reflect the values of your business and are compatible with your operation. Remember also that there are tax and national insurance contributions (NIC) implications for any benefits in kind you provide to employees. Working out the total cost of your remuneration package is vital before you start advertising the role. We’ve all read about mind-bogglingly large bankers’ bonuses, but more modest schemes are run by many businesses to incentivise and reward performance. If you do decide to introduce bonuses, commission on sales or rewards as part of a performance-related pay scheme, make sure the scheme is fair, equitable, set against measurable targets and clearly communicated. Also, don’t move the goalposts halfway through the year – unless you want to make your staff very unhappy. A small business case study: Which pay scheme will foster team spirit? “Appropriate remuneration and reward structures play a central role in any company. “Getting it right brings the benefit of a workforce that is motivated and incentivised, is rewarded for good performance and creates job satisfaction, which aides retention. Getting it wrong can, quite literally, tear a business apart. “Unfortunately, it would appear that the profit-related pay scheme operated for your sales staff is failing to deliver these benefits. “While it may succeed in motivating individuals, it’s clearly not incentivising them to perform in a manner that’s contributing to the success of the business overall. “The starting point of any remuneration and reward structure must be a clear articulation of the business’ main strategic objectives, measured by the achievement of clear goals. From here, the key indicators against which performance will be monitored can be identified. “The role of each department and each employee in meeting these key performance indicators (KPIs) then needs to be developed and communicated throughout the business. The vital element at this stage is to ensure it’s the KPIs for the whole business that remain the primary focus and the contribution to their overall achievement that’s measured. “The next stage is to identify the various types of remuneration and reward structures which could be introduced. It’s vital at this stage to gain an understanding of what employees actually value as there is little point in providing a reward package which doesn’t deliver perceived value. “There are a huge variety of different possibilities, from equity participation mechanisms, to cash and bonus plans, to flexible benefit schemes. “The ultimate structure will need to meet the dual imperatives of incentivising performance in line with business strategy and rewarding employees with benefits that they perceive to have real value for them personally. This methodology will ensure that the company’s reward philosophy is aligned with business objectives. “It’ll deliver a remuneration and reward structure which incentivises every employee to perform to the best of their ability in the achievement of the company’s objectives and which rewards each for their contribution. “The result will be a motivated workforce, staff retention and company success. Giving your staff a stake in the business is probably the ultimate incentive. The John Lewis Partnership is an example of this principle in practice. While you may not be as big as John Lewis yet, giving employees a stake in the business is still an option for your small business. The Employee Ownership Association, a members’ organisation for employee-owned businesses and businesses that are changing to this structure, can provide more information about employee ownership. As mentioned earlier, pay isn’t the only incentive your small, growing business has to offer. The opportunity to be in at the start of something new has great appeal for many people, while challenging work may be a motivating factor for others. The type of business you run or the products you sell could also provide a unique selling point (USP). Social enterprises, charities, eco-businesses and digital start-ups tick all the boxes for many job-seekers. Whatever your USP, make sure you identify it and clearly promote it in your job advertisement. The latest equality legislation may seem confusing for small business employers, but it’s based on a simple principle – fairness. If you approach it from this standpoint, it should be relatively simple to negotiate your way through all the legal obligations covered by the Equality Act 2010 in your dealings with employees. The Act covers equal pay, which is defined by the Equality and Human Rights Commission (EHRC) as men and women who are employed in the same way and do equal work should receive equal pay. It’s important to note that pay in this context refers to not only earnings, but also to contract terms and employment conditions. Why does the gender pay gap exist? Outdated work practices, expectations and stereotypes, differences in working patterns because of the caring role of many women, and a lack of quality part-time work are all cited as reasons why gender pay discrimination exists. The EHRC has developed an online equal pay review that small businesses can use. From April 2018, under new government regulation, employers with more than 250 employees will be required to publish data relating to the pay of their male and female employees. While the Equality Act 2010 states that employers must give men and women equal pay if they do the same or broadly similar work, the national pay gap still exists. Once you’ve taken on your first hire and worked out equal pay review, the next consideration is likely to be about how to conduct pay reviews. No one wants to be stuck on the same salary forever, so you do need to give some thought as to when you are going to review an employee’s salary and how you will make decisions about what level of increase to give. To do this, you’ll need to review pay and benefits with your team member, usually at least once a year. In the future, you may be in a position to grow your team further. If you’ve put careful thought into the pay and benefits of your first employee (based firmly on their skills and experience and the going rate for the job), any future staff should slot into the structured pay bands that you have carefully established for your business. At this point, you’ve learned more about how to assess the job you’re recruiting for in terms of salary, including what constitutes equal pay. We’ve also provided information about rewards beyond the pay bracket, such as benefits and incentives. Finally, we looked at how to plan for pay reviews. So where do you go from here? A next step could be talking with payroll suppliers to make paying your staff even easier – and Startups.co.uk can help with this too. Simply complete the form at the top of the page to compare quotes – it’s easy, free and quick.